Jake Gyllenhaal's Louis Bloom, the central subject of Nightcrawler, is the biggest character we've seen on screen so far this year. He might even be the biggest character we've seen since Daniel Plainview crept into theaters in 2007. It is impossible to see this movie and not leave it struck by both Gyllenhaal's transformative performance and writer Dan Gilroy's unique creation. He exists beyond the confines of the film's run time: he introduces himself in the trailer and sticks with us long after we leave the theater. He leers out at us with his coldly inviting gaze, intruding on our sense of safe distance. So who is Lou Bloom? He has a wealth of ideas about himself that he compulsively spouts to anyone in a position of power. He's a hard worker. He's a quick learner. And these things are true—even frighteningly so—but they're not the whole truth. Hidden beneath the surface lies something much more sinister than this self-taught success story in the making. He's not only persistent, he's ruthless. He pursues his goals beyond mere ambition into the realm of corrupt, amoral intransigence. But he's not simply evil, not simply another villain to be lumped in with all the others. He's intelligent, poetic, and even philosophical. He's filled with fascinating contradictions, and the film carefully measures its complex exploration of his chilling depths. But the real horror is that this fearless creature of the night isn't some animal: he's a human like the rest of us, and his terrifying drive is born out of something we've all known and felt. We all want to get ahead, we all want to succeed. We may not be willing to go as far for that success as Lou is, but isn't that more our failure than his? He is an exaggeration of the best and worst of human nature, showing us a side of ourselves we'd rather not see and tempting us toward it with his infectious charisma. Lou Bloom is so big, in fact, that the rest of the movie has trouble keeping up with him. The story is told almost entirely from his perspective—like Taxi Driver, there are very few scenes in which he's not present—and his uniquely fascinating outlook creates an incredibly specific mood which is hard to match. Fortunately Robert Elswit has no problem keeping up, and shoots with a gorgeous mix of analog film and digital video. The L.A. nightlife looks like the world of Collateral reimagined through the lens of Michael Clayton. His vision is incredible, but in particular he has a way of using the dark side of Gyllenhaal's face to evoke the unseen evil lurking under the skin. On the other hand, James Newton Howard's score often struggles to find the right tone. I've loved his work in the past—again my thoughts turn first to Michael Clayton because of its quietly perfect subtleties—but here his work is distinctly more emotive and transparent. It works well for the chase sequence and some of the other atmospheric scenes, but there are moments where it jarringly mismatches the events on screen (particularly the "why you pursue something is as important as what you pursue" scene). Then there's Lou's assistant, Rick (Riz Ahmed), whose situation is even trickier. If he's too relatable and sympathetic then he becomes a refuge for the audience to hide from Lou's insanity, and the film's careful, tight, suffocating focus fades away. But Gilroy attempts to solve this dilemma by making Rick too invisible as a character. We never get to see his motivations; so while he doesn't disrupt Lou's tyrannical control over the narrative, he also doesn't feel realistic, especially next to his larger-than-life boss. He's well played by Ahmed, but his place in the world of the screenplay is shaky and uncertain, as if he might fall out and be left behind as the movie careens on heedlessly without him. And Rick's not the only part of the story that's hard to pin down. 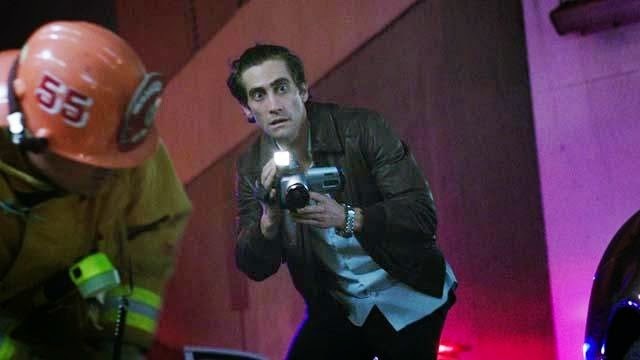 Nightcrawler blends elements of comedy, action, mystery, and horror, which is admirable but confusing. It's hard to tell whether certain scenes are intended to funny or not. 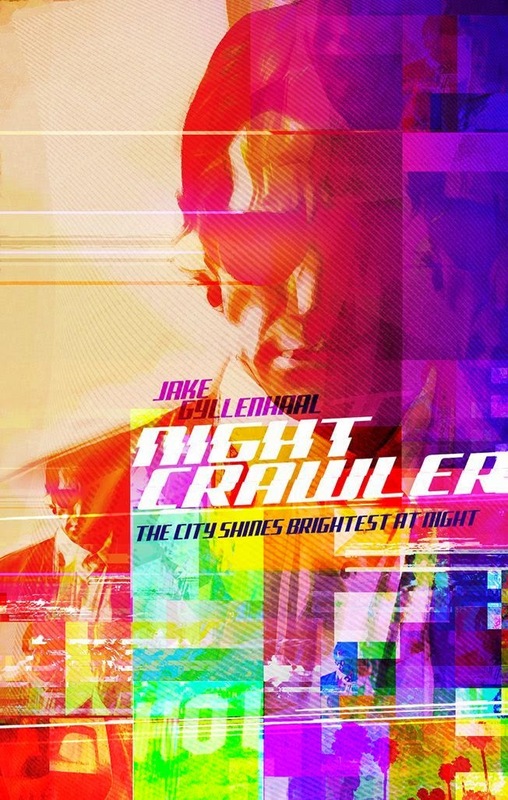 Many critics mistakenly place too much emphasis on the director to clearly indicate what they intend the message of any given scene to be, but Nightcrawler is definitely a difficult film in this regard, and there were a few scenes where it's unclear whether we ought to be laughing or screaming. But maybe that's the point. The film has been compared to influences as disparate as Network and American Psycho, but none of these comparisons really work because it's more its own thing than anything else. It's the type of new and distinct and exciting film to which we'll be comparing other films in the not-so-distant future. Put simply, it's hard to wrap your head around, and this will be perfect for viewers who enjoy open-ended questions but frustrating for audiences looking for something more concrete. 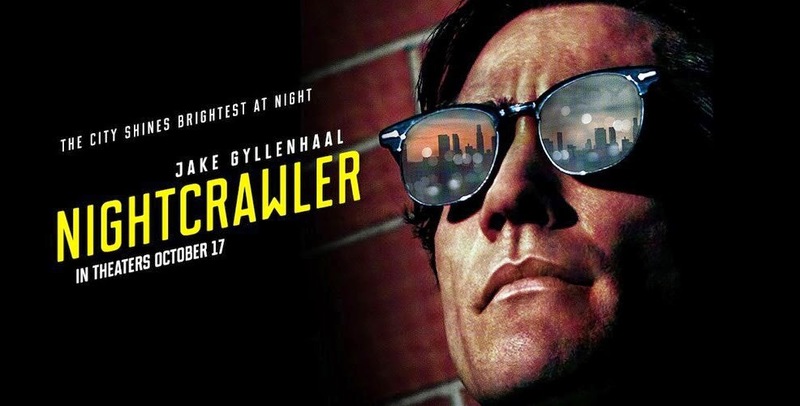 While it's impossible to know now how we'll feel about the film in the future, what we can know for certain is that, like Gone Girl, Nightcrawler is a zeitgeist film. It and Lou Bloom are subjects shaped fundamentally by issues which permeate today's social and cultural climate. The film is first and foremost about new media and journalism. Lou's nighttime activities blur the ethical boundaries between what's right, what's wrong, and what's necessary in order to bring stories to the public's attention. He's a disquieting figure because he doesn't care about justice. He won't stop working to try and help a situation. He works purely for the stories and for the profit he'll make by presenting them in the most dramatic light possible; and by making his stories as popular as he can, he highlights the issues with our own taste for news. As a culture we have a voracious appetite, and Nightcrawler exposes the implications of our rampant consumption beyond how we spend our morning or evening meal. By not participating in the acts of violence he records, and eventually even becoming complicit in them, he makes us want to shout at the screen to stop and help. He asks us whether we have an ethical duty to intervene in the images we consume, and if we do, why we're sitting quietly at the dinner table not only letting bad things happen but endorsing them with our attention. "I'm looking for a job. In fact, I've made up my mind to find a career that I can learn and grow into. Who am I? I'm a hard worker. I set high goals, and I've been told that I'm persistent. Now I know that today's work culture no longer caters to the job loyalty that could be offered to earlier generations. What I believe is that good things come to those who work their asses off, and that good people who reach the top of the mountain didn't just fall there." Lou explicitly embodies the result of our contemporary work culture. He does exactly what's necessary to succeed in our unsympathetic system, and the film uses this amorality as a critique not of any one person but of that very system itself. Lou shows us what's wrong with our ideology by refusing to stop short and embodying it too completely. He internalizes our own imposed social norms more than the rest of us are willing to, and thereby becomes the disease at the heart of our society. 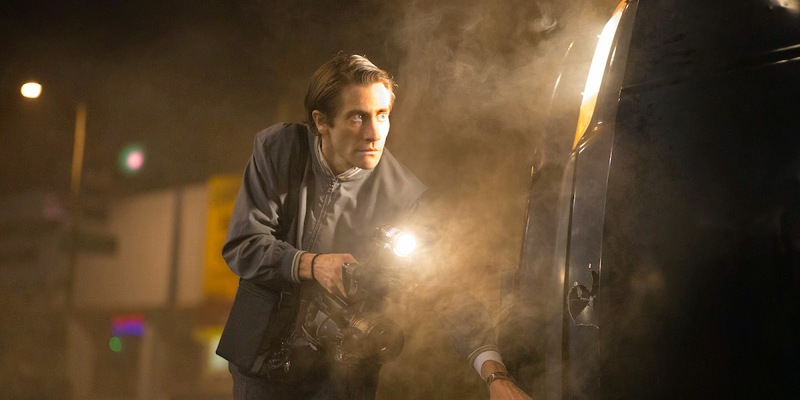 So whether or not you think Nightcrawler is a "good" film, it is undeniably a relevant one. It tells us something about ourselves, and for my money that's more important than how much it takes in at the box office. It's a film which is here to stay, and like the best of all things it will only improve with age.